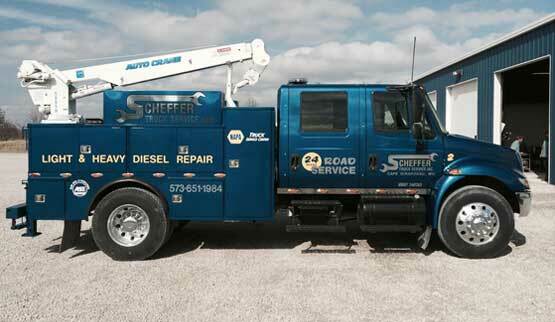 Scheffer Truck Service is a family-owned and operated truck shop serving the Cape Girardeau area since 1997. We offer diesel truck repair and roadside assistance services performed by a team of ASE Master certified truck technicians equipped with the best tools and technology. From light-duty pickups to RVs to heavy-duty diesels, we guarantee expert workmanship at affordable rates. Our shop is also a NAPA Truck Service Center, handling Missouri state, DOT, and Hi-Rail inspections. Our driving force and constant goal at Scheffer Truck Service is efficiency. You may ask yourself, why does efficiency matter to you? We prioritize efficiency in order to fix trucks right the first time, and get our customers back on the road as soon as possible. We exhibit efficiency by hiring and utilizing the best of the best. Our four ASE Master Truck Technicians have 114 years of combined diesel repair experience, and we invest in the latest OEM diagnostic software for nearly every diesel truck. 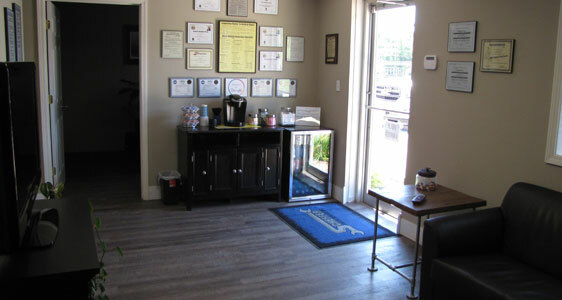 In our facility in Cape Girardeau, you will find the most dedicated mechanics and software available to us or anyone. Our Mission at Scheffer Truck Service, Inc.
Our company is committed to providing superior service with the most up-to-date technology and training, while treating customers and employees like family. We want you to be comfortable while we work on your truck, so we offer free Wi-Fi while you wait, a clean sitting area, TV, cold drinks, coffee, and hot chocolate. If you need anything while you’re visiting us for repairs, just ask, and we’ll make sure you’re taken care of ASAP. You’ll find we genuinely care about people, our community, and the world around us at Scheffer Truck Service, Inc. To give back, we participate in Toys for Tots Happy Slapowitz Toy Bash, and fundraisers for Boy Scouts, Jackson USA Wrestling, several local schools, and St. Jude Children’s Hospital. We also maintain an eco-conscious truck repair shop, which you can learn more about HERE. Our truck repair shop is conveniently located at 9147 State Highway 25 in Cape Girardeau, MO, only a few miles from I-55. If you’re not familiar with the area, we’re near Southeast Missouri State University, Proctor & Gamble, Rubbermaid, MONDI, Isle Casino, Show Me Center, and the Mississippi River. In addition to Cape Girardeau, we serve the communities of Jackson, Fruitland, Perryville, Scott City, Oak Ridge, Neely’s Landing, Benton, Ullin, and Marble Hill. For a full a list of the areas where we provide roadside truck service, please click HERE. We Just Can’t Wait to Get You on the Road Again! Sincerely, we couldn’t ask for a better location or better people to work with than those in our community. We love our local customers, and of course our non-local customers, too! When you need truck repairs, we hope you’ll give Scheffer Truck Service a call or request an appointment online.